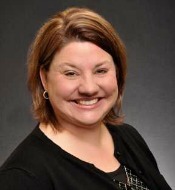 Sara McConnell is the Broker/Owner and a REALTOR® of EXIT Realty Homefront in Zimmerman, MN. Sara taught elementary school for 14 years before following another life long passion and becoming a REALTOR®. Sara has lived in, listed, and SOLD a variety of properties in cities, suburbs, and rural areas and has gained extensive knowledge from those experiences. Sara's knowledge of properties and the real estate market, strong work ethic, and dedication to her clients makes Sara stand out as an A+ REALTOR®! Thinking of selling? Sara will work with you to stage and showcase the best attributes of your home. That combined with Sara's effective marketing strategies and strong negotiating skills will lead buyers to give your home an A+ grade translating into your home selling more quickly and for top dollar! Thinking of buying? Sara will educate you and walk you through the entire home buying process. Sara moves quickly to get clients into homes that come on the market, is strategic in writing and presenting offers, and is proactive in dealing with any bumps in the road that can arise during the home buying process. Buyers will enjoy an A+ experience with A+ results when buying a home with Sara! “You Guys are AWESOME!! Last Summer I was living with my ex, my house was up for sale, and I was out looking for my own place. Sara McConnell was there for me when I needed her. I would never have expected the relationship that we had. I expected a call here and there to check in, but throughout the process of looking at houses to finally signing on my own house, she was there. She constantly stays in contact with her buyers. When I finally found the right house, after 4 months of searching and 20 houses or so later, she was there to help me every step of the way. I feel so blessed to have been able to work with her.